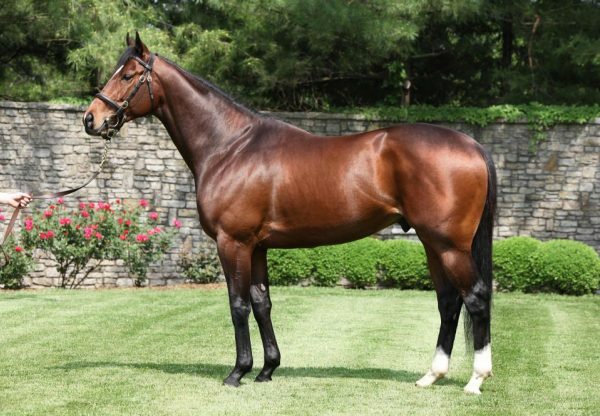 Lookin at Lucky enjoyed his best ever day at the races on Saturday when Accelerate (5h Lookin at Lucky x Issues, by Awesome Again) got the better of Dr Dorr (5g Lookin at Lucky x Jax El, by Unusual Heart) to win the $500,345 Grade I Gold Cup at Santa Anita, while Money Multiplier (6h Lookin at Lucky x Intensify by Unbridled’s Song) won the $196,000 Grade II Monmouth Stakes. Trained by John Sadler, Accelerate scored his second Grade I win this season after capturing the Grade I Santa Anita Handicap back in March. He travelled smoothly for Victor Espinoza just off the leaders and powered to the line to win the 1 and ¼ mile contest by more than four lengths. 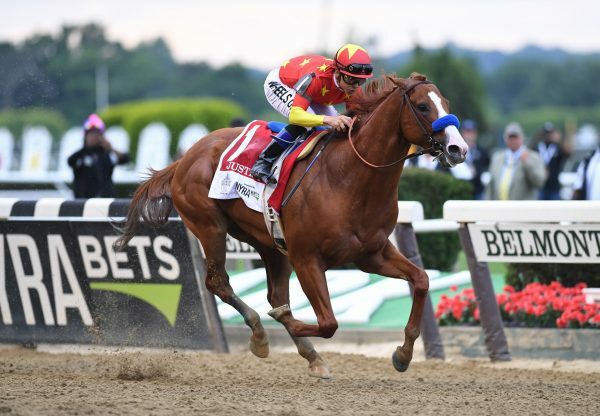 “He broke good, I think Victor wanted to put him up in the race and then see what everybody else did, so he let him run out of there and when Joe [Talamo on Dr. Dorr] went to the front, he just sat in behind him and gave him a beautiful ride,” Sadler said. The victory took his overall record to seven wins and 10 placings from 19 starts earning over $1.7 million with the Grade I Pacific Classic at Del Mar his next likely target on August 18. 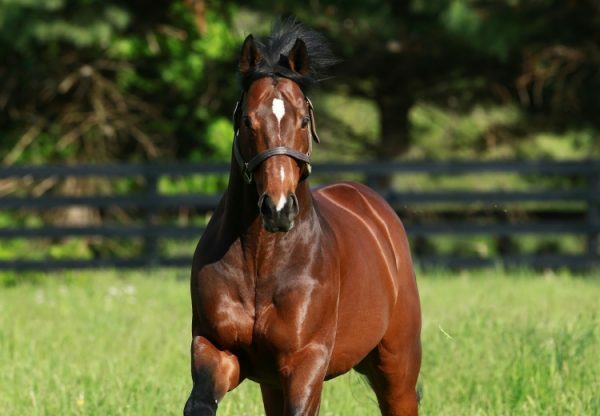 Money Multiplier made it a day to remember for Lookin at Lucky when he surged to a three-quarter length win in the 1 and 1/8th mile Grade II Monmouth Stakes on turf, winning the feature race for the second year in a row. Trained by Chad Brown, Money Multiplier has the overall record of five wins and nine placings from 22 starts with prizemoney in excess of $1.2 million.